Pollenca is located approx. 7 km away from the coast and it is a main locality in the area. In order to protect the place against the pirates it was moved toward inland. Additionally there is a port - Puerto Pollenca is situated directly on the coast. Also the beach Sant Vicenc and the peninsula Formentor belong to the municipality of Pollenca. 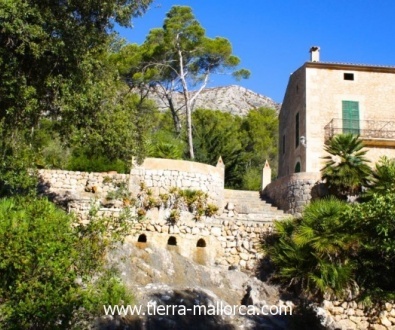 The town Pollenca is famous from its charming old town. Here there are some churches and monasteries. The parish church Nostra Senora dels Angels was built in typical Majorcan style - in the interior part you can admire the pictures of saints and the altar. The stone bridge Pont Roma that was built by Romans 2000 years ago is also worth seeing. Besides in Pollenca there are two monasteries, the Ermite de Nostra Senora Puig and the Convent de Santo Domingo. Here you can walk through the old arches and have a look at nicely arranged herb garden. 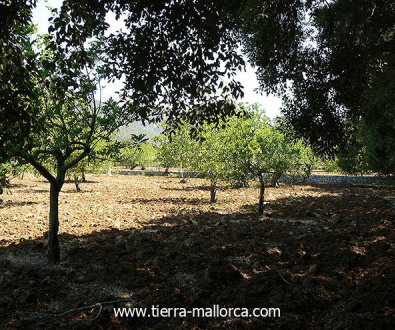 However for the walking tours the best is the zone of Pollenca - dreamlike nature landscapes and the Sierra de Tramuntana are situated very close. 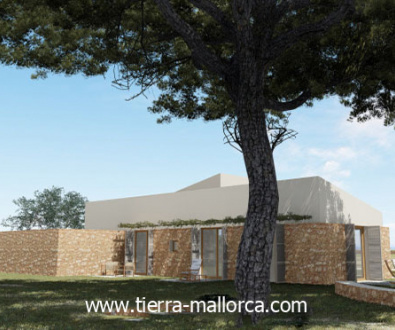 The beach in the bay of Pollenca offers a lot of possibilities. Especially for the families with kids it is the true paradise, as the sandy beach slopes gently to the sea. On the border of the beach there are small shady pine forests. Each Sunday morning the market in Pollenca takes place on the main square - here the small streets around the church will be filled with life. You can buy fresh vegetables and manual products. But there is also everything else! The market has a special fame - it is supposed to be different than the other markets.